Arsenal’s Petr Cech recently announced that he’ll be tucking away his gloves at the end of the current campaign, and a former teammate of the veteran, Michael Ballack, has tipped the 36-year-old to fill a coaching role once his playing days are up. Cech claimed an extensive catalogue of accolades during his 11-year spell at Chelsea and is also capable of speaking four languages. Ballack played alongside Cech in the Blues’ 2009-10 fold that claimed the Premier League title and is confident that the ‘very important’ stopper’s influence could translate into the dugout. Speaking to Omnisport (via FourFourTwo), Ballack conveyed his fanatic admiration of the Gunners’ experienced goalkeeper, an individual that’s ultimately inspirational, yet grounded. “He’s a very nice guy and comfortable team-mate. He speaks a lot of languages, so Petr had a good connection to a lot of players,” he said. “He was a very important person for the atmosphere in the dressing room. He had a great personality and was a big leader with a natural authority. 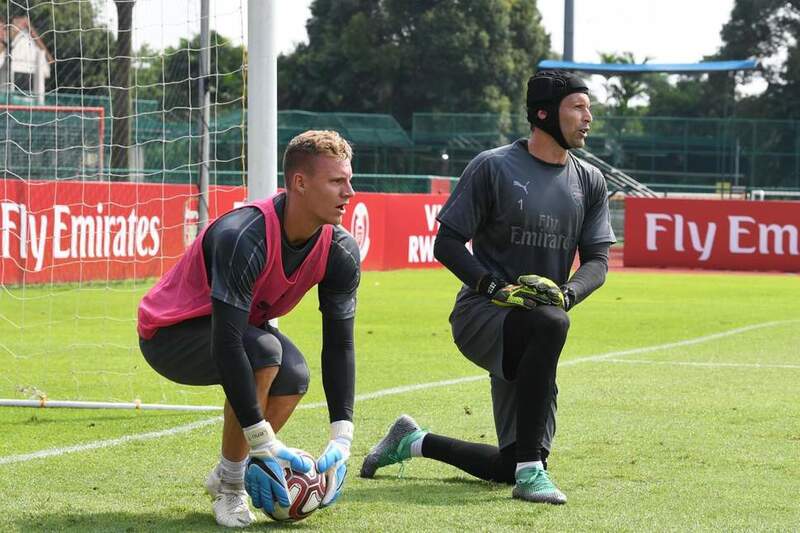 Jumping to the Emirates from Stamford Bridge in 2015, Cech was initially the Gunners’ undisputed first-team ‘keeper in Arsene Wenger’s set-up, although under Unai Emery’s regime, Bernd Leno has pushed the Czech to his limits. Starting the current campaign as the preferred choice on Emery’s team sheet, a string of unconvincing performances gifted Leno an opportunity to dislodge Cech from the Spaniard’s Premier League plans. Subsequently, Cech’s appearances have been limited to domestic cup competitions, as well as European ventures, a reality that signals a shift in power in the goalkeeping department at the north-Londoners. Cech was named in Emery’s starting line up against Ole Gunnar Solskjaer’s Manchester United in the 4th round of the FA Cup, a testing home encounter that the Gunners lost 3-1. Arsenal are 6th in the Premier League standings, three points behind Cech’s former employers, Chelsea. Betting experts predict a tough battle for the coveted 4th spot, and if Arsenal are to pip Maurizio Sarri’s men to that all important position, they’ll have to tighten up their defensive ranks. Conceding 36 goals in 25 league outings, Arsenal could reinstate Cech and his proven expertise, if Leno and the club’s fragile rearguard continue to leak goals at will. Share the post "Retiring Arsenal veteran tipped for coaching role"